Vegetable mill for soups, purées, compotes. 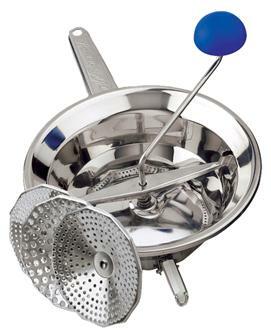 Stainless steel 18/10 vegetable mill, 20 cm in diameter with three grating discs. 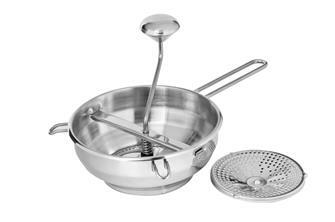 Stainless steel vegetable mill, 24 cm in diameter, with three grating discs. 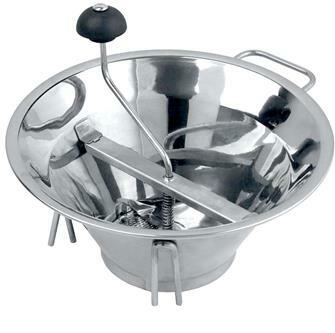 Stainless steel professional vegetable mill, 31 cm in diameter, with three grating discs. 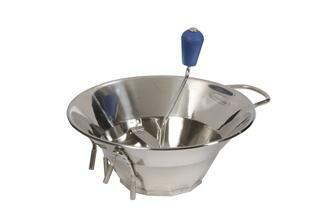 18 cm stainless steel vegetable mill with 2 plates. 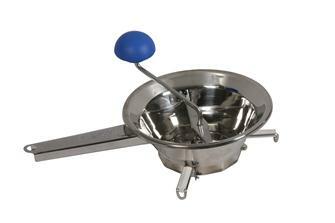 Stainless steel vegetable mill with diameter of 33 cm. Comes with three plates.